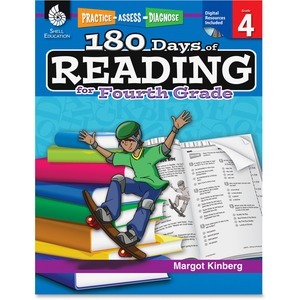 This resource provides teachers and parents with 180 daily practice activities to build and gauge students' reading comprehension and word study skills. Students gain regular practice through these quick diagnostic-based activities. Data-driven assessment tips are provided. The Teacher Resource CD includes assessment analysis resources. Book is designed for children attending fourth-grade.